Buckle up for an alphabetical road trip! From A is for axle to Z is for zoom, get ready to be introduced to taxis, hot rods, moon rovers, stagecoaches, racecars, ice cream trucks, and more in a celebration of where the wheels meet the road. As a follow up to Olivera's first book, ABCs on Wings, this is great. 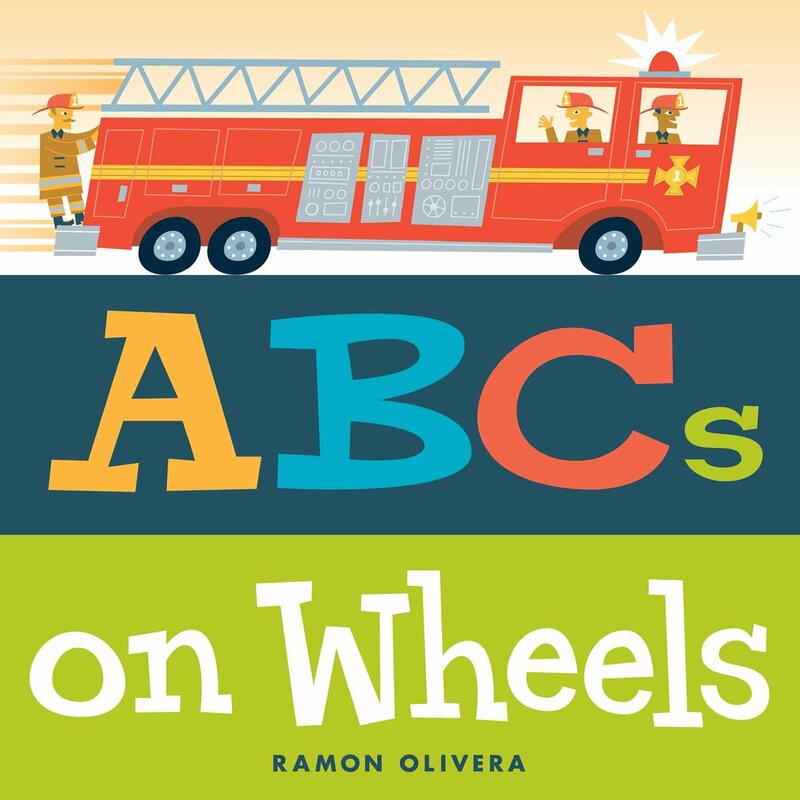 It's another creative ABC book that kids will enjoy, especially fans of all things vehicular. The word choice is clever, and I appreciated that, often, the page spread told an individual story (for example, E is for Empty with a driver pushing his car and F is for Full with the driver at the gas station). It's also got a good variety in that, while most kids will know taxi and ice cream truck, they may not know the words hot rod or compact. The illustrations are fantastic--bold, simple, and colorful, with a little retro flair. It's not perfect (ABC books rarely are, what with the difficult letters like Q and X) but kids will definitely love it. Recommended for sure, for any ABC or transportation needs.